Situated in the North of Spain, and battered by the Atlantic sea, Galicia is a green and fertile region of Spain. Lush and heavily wooded with oaks and pines. Unspoilt old traditional fishing villages and wonderful beaches... The coastline is a source of some of the best seafood in Europe. Not your traditional Spanish holiday destination, but certainly well worth a visit. The province of A Coruña is to be found in northern Spain in the region known as Galicia. 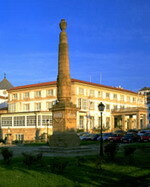 Coruña has several claims to fame. Firstly it is home to the city of Santiago de Compostela (lit. "of the star field") whose massive cathedral holds the remains of the apostle Saint James. But another of the provinces cities, Ferrol, was the launching point for Spain's ill fated Armada against the English in 1588. Most visitors to this area center their trip around Santiago de Compostela and with good reason. Santiago has a large medieval quarter that not only contains its impressive cathedral, but also an array of equally inspiring architectural gems including palaces, monasteries and museums. The city is also known for its pilgrimage called the "way of St. James" which attracts tens of thousands of Christian visitors every year. These pilgrims come from as far a field as France and make the entire journey on foot staying at specially designated hostels on route. Their reward, if and when they complete their journey, is a certificate and mass at the cathedral. Santiago's pilgrims are also notable for another reason. In addition to walking with traditional long crooked staffs, they also attach a "clam" clam shell to the staff itself. It is thought that in earlier times this shell, now the symbol of Santiago, could have been used as a multi purpose utensil to scoop water from a river or act as a small dish. Away from Santiago, A Coruña city also has a few sights of its own ranging from the world's oldest working lighthouse, built by the Romans, to coastal forts and the regions biggest marina. Coruña is also renown for the glass fronted buildings lining its marina which have given rise to the city being known as the "glass city". In addition to its older buildings, A Coruña also has the futuristic "Domus" building which is a celebration of man - a museum of sorts! As Galicia's most prosperous province, Coruña has many towns and most of these have a location and history associated with the sea. Coruña has always derived much of its wealth from fishing and its deep water ports, including Ribeira, land vast quantities of fish and assorted seafood. From a visitor's point of view places like Rianxo, a beautiful coastal town, along with neighbouring port town, A Pobra do Caraminal, offer an opportunity to see the less commercialised side of Coruña province. These towns have traditional central plazas called "alamedas" along with a look and feel all of their own. If you visit one of these places you will also notice that everything grinds to a halt at 2.00pm for afternoon siesta and only starts to come to life again between 4.30pm and 5.00pm. The compensation for this extended lunch is the long working "afternoon" which does not end until around 9.00pm at night! Staying in A Coruña, but moving inland, there is plenty more to see including the ancient and once highly important town of Padron. Padron is a town of two halves. The new part is ugly and does not warrant a mention, but the old district is quaint, has a river running through it and also hails as the home of Galicia's most famous daughter, the author and poet Rosalia de Castro. Although not known outside Spain, Castro is a real folk hero and there is a museum dedicated to her in her former house. Padron is also famous for two other reasons, the hot chilli peppers it produces and its biblical location as the preaching point of Saint James. About the Author - A visitor and vacationer to Galicia. The modern AC A Coruña Hotel is located 1 kilometre from the historic centre of A Coruña and 4 kilometres from the airport. 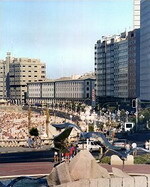 Riazor Beach is 1 kilometre away and San Anton Castle is 4 kilometres from the hotel. After a day's sightseeing, guests can enjoy a relaxing sauna or workout at the hotel's fitness centre, or head for the bar. The Casa Paula restaurant, with its stylish furniture and wood-panelled walls, serves typical Galician specialities and international dishes, with a selection of fine Spanish wines. Complimentary newspapers are available in the lobby, and business guests are well catered for with a business centre with audio-visual equipment, four conference rooms, and a computer rental service. Multilingual staff at the 24-hour front desk can advise on local attractions, as well as making restaurant reservations and booking excursions. 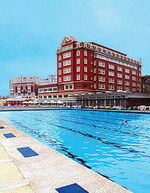 The Eurostars Ciudad de la Coruna is located in La Coruna, Spain, within Escultorico Park. The hotel is 200 metres from the beach and 600 metres from Hercules Tower. San Anton Castle and Maria Pita Square are one kilometre away. This modern hotel has an onsite health club with fitness equipment, spa tub, and a sauna. Guests can order from room service, and parking is complimentary. Eurostars Ciudad de la Coruna's informal restaurant serves local and international dishes. The 31 guestrooms feature cable television, air conditioning, refrigerators, and telephones. All have hydrotherapy bathtubs. A modern hotel is situated in La Coruña city centre, the Hesperia A Coruña is 50 metres from the beach and Deportivo football stadium. Within 100 metres of the hotel are the Tower of Hercules - the oldest working lighthouse in the world. 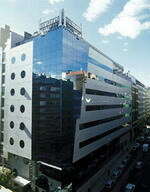 La Coruña airport is eight kilometres from the hotel. Guests of the hotel can dine in the Al Punto restaurant where a menu of Mediterranean and international dishes is complemented by regional cooking. After dinner guests can enjoy a drink or two in the bar. Other amenities include complimentary Internet connections in public areas, room service and nearby parking for guests with their own vehicles. For business travellers there are meeting and conference rooms, audio-visual equipment, and a dedicated business centre. Set in La Coruña's old town, the Hotel Hesperia Finisterre has a mock-classical façade featuring pillars and moulded stone, and is opposite the port. Nearby attractions include Castillo de San Anton Archaeology and History Museum, housed in a 16th century fort, which is 500 metres away and the Science Museum with planetarium, which is 1.5 kilometres away. The Tower of Hercules, the only working Roman lighthouse in the world, built in the 2nd century AD and the Fine Arts Museum are both two kilometres away and the Domus Museum, dedicated to an in-depth exploration of mankind is 2.5 kilometres away. At the restaurant Ara Solis guests can enjoy a wide range of Galician specialties with views out onto La Coruña harbour. 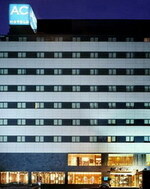 The hotel houses its own bar and cafeteria and features a hairdresser and on-site shopping. Guests can enjoy the hotel's 28,000 square foot sports complex, La Solana, complete with gym and sauna and make use of the outdoor pool and tennis court. Hotel Riazor is a 12-floor hotel situated across the promenade from A Coruña beach, 450 metres from the Avenida de la Marina. Guests will find several cultural attractions close to the hotel, including the old town one kilometre away and the world's oldest lighthouse, the Tower of Hercules, two kilometres away. 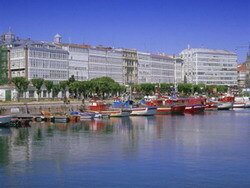 The nearest airport is A Coruña, which is eight kilometres from the hotel and takes around 20 minutes to reach by car. Guests can relax with a coffee in the hotel café before crossing the promenade to the beach. After a day on the beach, guests can enjoy a meal in the Riazor restaurant, which serves a combination of international dishes and Galician fare, or the informal restaurant Orzan, which serves tapas and light snacks. 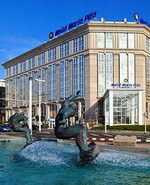 The Melia Maria Pita is located in La Coruna, Spain. The beach is across the street, the Old City is 500 metres away, and the Tower of Hercules, a historic Roman lighthouse, is at a one-kilometre distance. The train station is situated three kilometres from the hotel. Offering sea views, the Melia Maria Pita occupies a six-storey property with stone and glass façade and opens to a plant-filled lobby area finished with marble. The hotel offers garage parking (surcharge), and car rental services can be found at reception. Guests can also take advantage of the 24-hour concierge service. 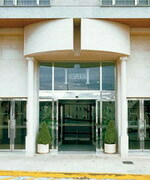 The Melia Maria Pita houses the traditional Trueiro Restaurant, serving a range of Galician and international dishes. The restaurant extends to a marble-floored indoor patio filled with plants and has two private rooms for up to 16 people. A buffet breakfast is available daily. Ferrol - in A Coruña province, north west Spain, in Galicia. The naval base on the Atlantic was built in the 18th century and is one of the most important in Spain. Shipbuilding and ironworks are the main industries. Francisco Franco, El Caudillo, was born there, and from 1939 to the early 1980s it was known as El Ferrol del Caudillo. 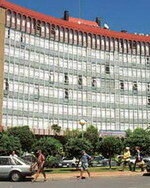 The modern Hesperia hotel is located at the intersection of central Ferrol's two main roads, 500 metres from the town's bus and railway stations. Situated in the town centre, hotel guests are one kilometre from the main shopping area, restaurants and cinemas. Visitors wishing to explore the region will find quiet, sandy beaches and picturesque Galician villages within 16 kilometres of Ferrol. Guests can relax with a drink in the lounge bar and work online throughout the hotel thanks to free, wireless Internet access. Continental buffet breakfasts are served in the breakfast room and guests can enjoy Galician specialities and Mediterranean dishes in the relaxed restaurant. The front desk is open round the clock and guests can take advantage of room service. 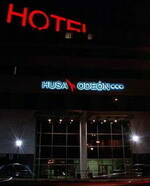 The Hotel Husa Odeon is a modern four-floor property situated in the business centre of A Gandara, two kilometres from the shopping centre in Naron and 10 kilometres from the beaches of the Atlantic sea. The area's naval history is prevalent throughout, from the shipping yards to the Naval Museum three kilometres away. Alternatively, visitors can enjoy the beautiful surroundings of the Fragas do Eume Nature Reserve, 12 kilometres away. Guests can relax with a drink and a newspaper in the lounge, while multilingual staff at the 24-hour front desk are on hand to offer advice and assistance. A reception room can accommodate up to 350 people for celebrations, while business travellers benefit from two meeting rooms, which can hold up to 60 people. WIFI Internet connections are available throughout the hotel, and those arriving by car will find private parking. In the centre of Ferrol, an attractive, seafaring city, the Parador rises up, recreating in its image the essence of a Galician mansion with glazed galleries and a singular marine setting. The decoration displays nautical elements, world maps and navigational instruments in the common rooms and spaces. The main staircase has an ancient lamp from a boat and the maritime motifs abound in the living rooms. The bedrooms are spacious and boast ochre and dark shades; some, with viewpoints and balconies, are favoured by magnificent views over the port. Enjoy fantastic views from the Parador windows whilst having a delicious breakfast. The restaurant serves squid in mugardesa sauce. Don’t miss the local Ferrol cake on the dessert menu. Unmissable!